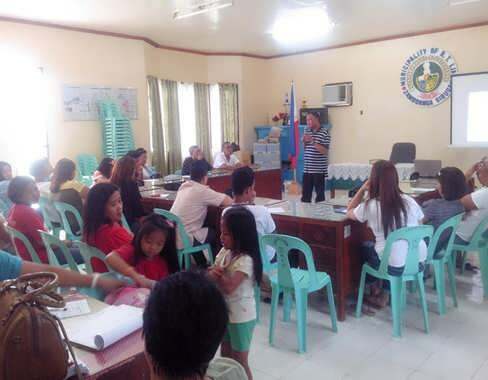 The Department of Labor and Employment of Zamboanga Sibugay together with the Local Government Unit of R. T. Lim, Province of Zamboanga Sibugay unceasingly gave support to the Micro and Small enterprises of R. T. Lim through the Labor Education Seminar and Productivity Awareness Session held last October 3, 2014 at the SB Session Hall of LGU - R.T. Lim and attended by thirty - four enterprises from the Municipality. The activity aimed to improve performance of Micro and Small Enterprises by promoting the principle of shared responsibility between workers and employers, fostering humane relationship in the worksite, and by mainstreaming a culture of productivity and quality in the workplace. Honorable Michael A. Piodena, Mayor of R. T. Lim and the Field Office head of DOLE Zamabonga Sibugay Mr. Elamsalih E. Ungad graced the activity. 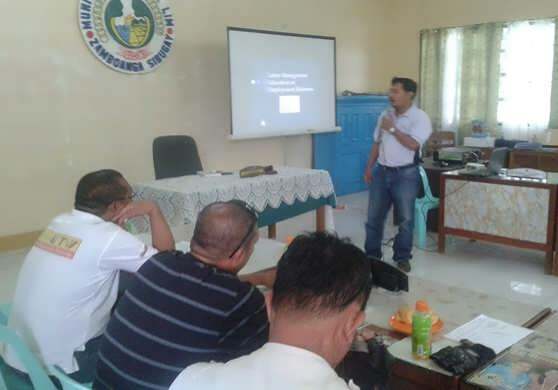 Senior LEO Ungad gave the overview of the seminar and discussed the General Labor Standards. He emphasized the importance of synergetic relationship between employers and employees in complying with the Labor Laws. This new system is also known as LLCS or the Labor Laws Compliance System (Department Order No. 131 - 2013). The system encourages establishments to promote a culture of voluntary compliance with labor laws, addressing the rigidities of the law while ensuring decent and productive work. Mr. Joel Ijirani, the Board Secretary of Regional Tripartite Wages and Productivity Board of Region - IX provided awareness session on productivity. He accentuated the relationship of employees and employers on how both sides can gain economic value in using productivity measures, mutually benefiting both workers and management while complying gradually with the labor standards. Engr. Julius T. Desoacido of DOLE - ZSFO introduced the benefits of occupational safety and health and explained how it can contribute to the productivity of the establishment. The seminar was indeed a success by instilling the minds of entrepreneurs that General Labor Standards is not just an obligation but also one way of ensuring the development of their business.